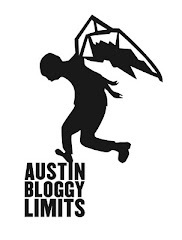 AustinBloggyLimits - An Austin Music Blog: Yay Friday! Whatcha Doin' Austin? Yay Friday! Whatcha Doin' Austin? Wow, so we haven't talked all week! What's been going on, dear reader? Have you had a great week in indie-rock? There's definitely some good shows for you to check out this weekend. Tonight you could kick it classic-alt-styley with Living Colour at Emo's. You could also party down with the dude-bras and hipsters at the Mohawk for a little Best Fwends-hosted, possibly-awkward dance-party. For my money though, I'd hit La Zona Rosa for a great local bill featuring The Soldier Thread, Wideawake, and Alpha Rev. The Soldier Thread go on first so get there between 9 & 10 if you want to see them...and you do, want to see them. I was surprised and confused when I first learned that Alpha Rev was local to Austin, I was also surprised they played so often. Then I realized, that I was thinking of fellow indie-rockers Mercury Rev but there is no connection. Alpha Rev has been doing there thing for over a decade, last fall they signed with, Disney-owned, Hollywood Records. I'm not going to judge them based on their label, but it is a bit jarring to visit their label page and see the other artists on Hollywood. It also, pretty much, explains why I kept hearing Alpha Rev during commercial breaks on my fav Disney-owned answer to the CW, ABC Family. Oh and just to tie this whole thing together, that band Wideawake has actually had their music featured on the CW itself. Their tunes have been used on One Tree Hill, and even...wait for it...Dawson's MF Creek y'all. That's old-school, that's nostalgia-worthy, that's pre-CW that's when it was the WB. You know you still have a dancing frog doll kicking around somewhere. If nothing I've mentioned so far piques your interest, you can always catch local-legend, Alejandro Escovedo at the Continental Club. The dude played with MF Springsteen y'all so expect lots of soccer-moms in attendance and/or creepy old guys w/young girlfriends. *shudder* He's playing the Continental tomorrow night too if tonight just doesn't work for you. BTW, did you know Sonic Youth released an official bootleg of their April '86 performance at the legendary Continental Club? Thanks Wiki, you have so much useless info that I need. Here's another Soldier Thread performance, this one is a Radiohead cover.